We all have stories to share! Our aim is to inspire and help each other write anecdotes about specific events in our lives -- personal stories to hand down to future generations and possibly become archival public history. At each meeting the participants will bring a story (or part of a story) they have written, of between 300 to 500 words, to share with the group. You will then edit your story to add a sense of place and time, emotion, character development, dialogue, if appropriate. You may wish to improve your story with the help of the group’s constructive feedback. The animator will provide tips and exercises to tap your resources for more writing ideas. 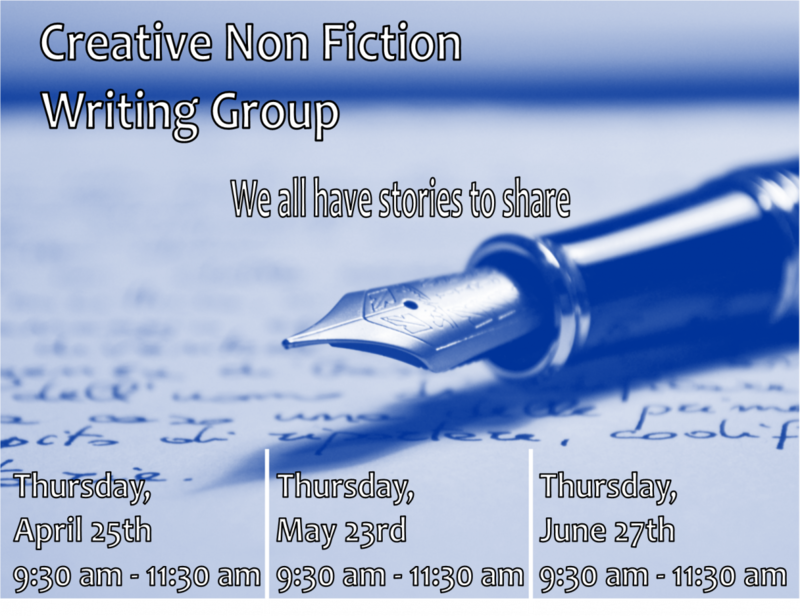 You are encouraged to contribute by bringing your own writing ideas for stories to the group. During each session we will take time to write a story to share with the group. This program is FREE, and is open to anyone 18 and older.